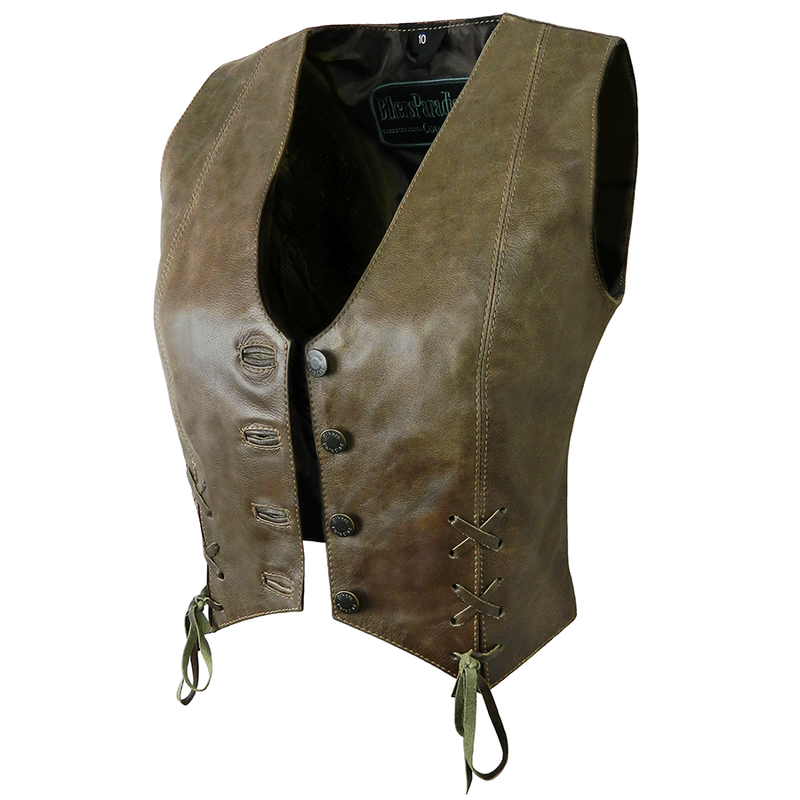 Fully fitted, tailored waistcoat/vest. 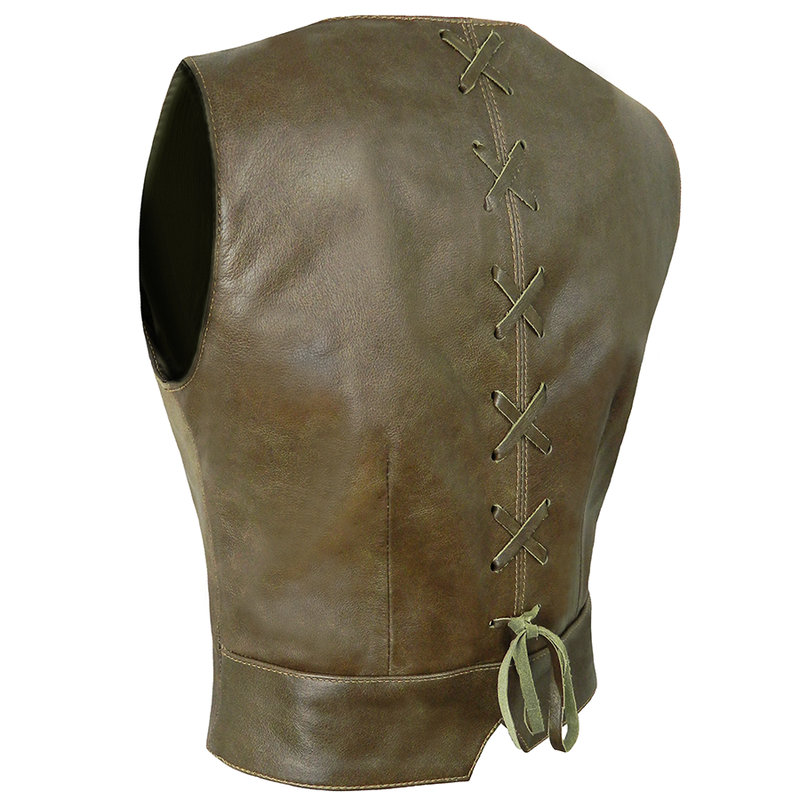 Lined in brown polyester with laced detailed open front vents and closed laced detailed back centre. Button fastening. Made in high quality soft leather.